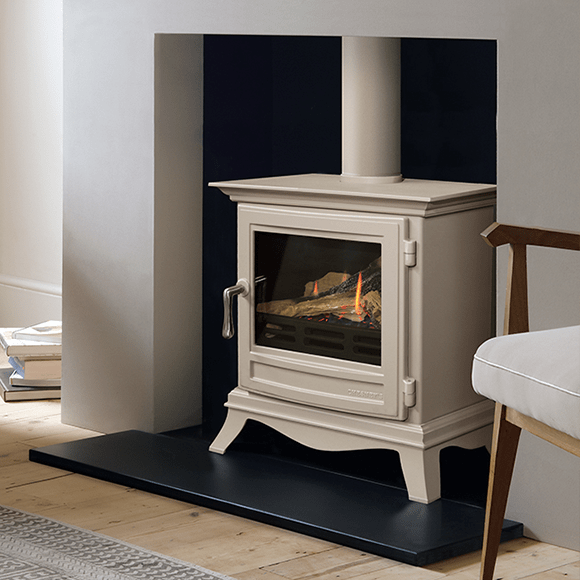 The Chesneys Gas Stoves collection combines the latest technology with a design aesthetic that places the product far ahead of the competition in terms of realism and functionality. 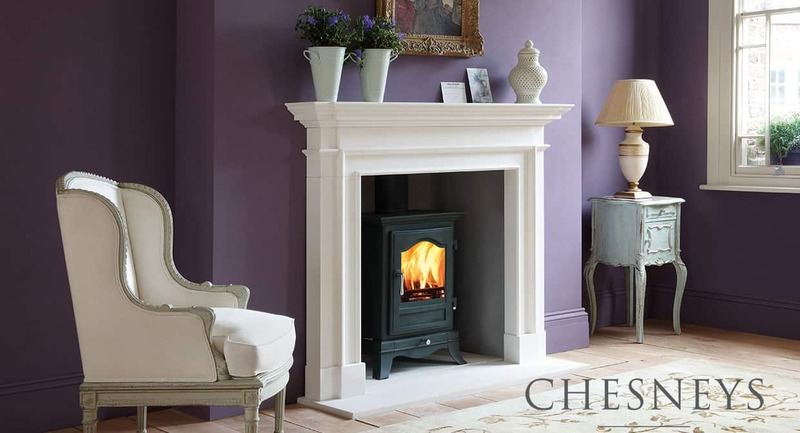 Chesneys Gas Stoves are as close to a real fire as you can get.The beauty and warmth of a real log fire at the flick of a switch. A beautiful no fuss heating heating solution for your home. 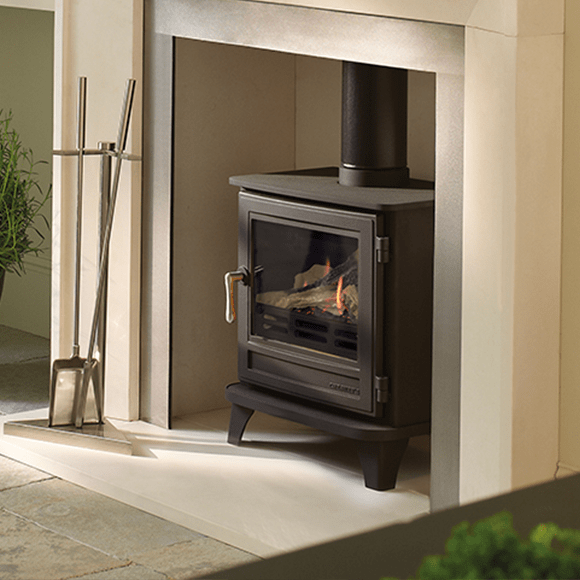 A robust and simple design with a solid cast iron door, housing a large glass window that allows the fire to be enjoyed. 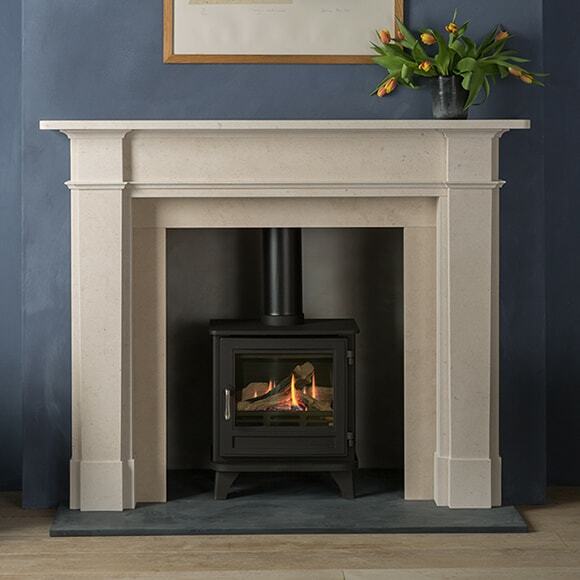 The Salisbury large Gas Stove is perfect for the bigger rooms and will give off a lovely amount of heat. A robust and simple design with a solid cast iron door, with realistic log and rock effect inside showing off a lovely fire. Its design includes uniquely classical features such as swept cabriole legs and a corniced top section.